Nieuwe SID voor MBC Max op 12284.00MHz, pol.V: SID:8 ( SR:27500 FEC:5/6 PID:801/802 - FTA). MBC Max (United Arab Emirates) is in DVB-S van start gegaan op 12284.00MHz, pol.V SR:27500 FEC:5/6 SID:9 PID:901/902 - FTA. MBC Max in DVB-S op 11919.00MHz, pol.H SR:27500 FEC:3/4 SID:8 PID:408/608 English (FTA). MBC Max switched to Nilesat 201 satellite at 11938.00MHz, pol.V (DVB-S , 11938.00MHz, pol.V SR:27500 FEC:3/4 PID:4181/4182 English,4185). MBC Max (United Arab Emirates) is in DVB-S2 van start gegaan op 10731.00MHz, pol.V SR:45000 FEC:2/3 SID:12 PID:1201/1202 English - FTA. Nieuwe frequentie voor MBC Max: 12322.00MHz, pol.V (DVB-S SR:27500 FEC:3/4 SID:6 PID:601/602 English- FTA). Nieuwe SID voor MBC Max op 12322.00MHz, pol.V: SID:8 ( SR:27500 FEC:3/4 PID:408/608 English - FTA). PID zijn veranderd voor MBC Max op 12322.00MHz, pol.V: PID:136/648 English SID:9 ( SR:27500 FEC:3/4 - FTA). Nieuwe frequentie voor MBC Max: 12322.00MHz, pol.V (DVB-S2 SR:27500 FEC:3/4 SID:8 PID:408/608 English- FTA). Nieuwe frequentie voor MBC Max: 12437.00MHz, pol.V (DVB-S2 SR:27500 FEC:3/4 SID:8 PID:408/608 English- FTA). MBC Max is back on 11938.00MHz, pol.V SR:27500 FEC:3/4 SID:2814 after a break ( PID:4181/4182 English,4185 - FTA). Nieuwe frequentie voor MBC Max: 12437.00MHz, pol.H (DVB-S SR:27500 FEC:3/4 SID:4810 PID:4812/4813 Arabic- FTA). 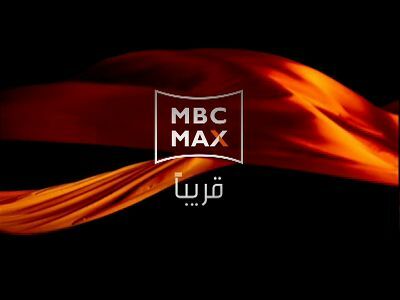 MBC Max (United Arab Emirates) is in DVB-S van start gegaan op 11919.00MHz, pol.H SR:27500 FEC:3/4 SID:8 PID:408/608 English Arabic - FTA. MBC Max (United Arab Emirates) is in DVB-S van start gegaan op 11938.00MHz, pol.V SR:27500 FEC:3/4 SID:2814 PID:4181/4182 Arabic - FTA. MBC Max is testing in DVB-S FTA on 11938.00MHz, pol.V SR:27500 FEC:3/4 SID:2814 PID:4181/4182 Arabic. MBC Max is testing in DVB-S FTA on 11919.00MHz, pol.H SR:27500 FEC:3/4 SID:8 PID:408/608 English.